Deep inside the forest of Periyar Tiger Reserve, you will find a 1000 years old ancient temple of Mangaladevi. This is the place, where, Kannaki, a legendary Tamil woman, betrayed all her grudge and transformed herself to be a divine lady (Mangaladevi) showering blessings upon the people on earth. Hidden in the dense forest of Periyar Tiger Reserve, between Kerala and Tamil Nadu, the Mangaladevi Temple at Thekkady is not just a place for pilgrimage tourism, but a place where you can find the wildness of the forest and the enchanting beauty of the nature. 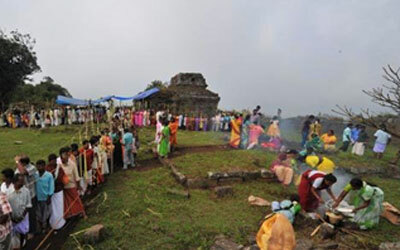 The temple is located 7 km away from Pazhiyankudi in Theni district and 15 km from Thekkady in Idukki district. There is a mind boggling legend behind this divine temple of Mangaladevi. Kannagi, the devoted wife of Kovalan, took revenge against killing her innocent husband by accusing him as a thief. It is said that she burnt the whole Madurai city and later she reached the Suruli hills. From here she went to the heaven in Pushpaka Vimana along with Kovalan. Getting inspired from this story, Chera Chenguttuvan, the ancient Tamilakam King, erected this temple of Mangaladevi here. The story of Kannagi was narrated to the Tamil poet, Illango Adigal by Chenguttuvan and later Illango wrote the famous book 'Silappathikaram', the story of Kannagi and Kovalan. The temple is famous for its Pandyan architecture. The boundary walls and the steps leading to the temple are made up of huge stones. 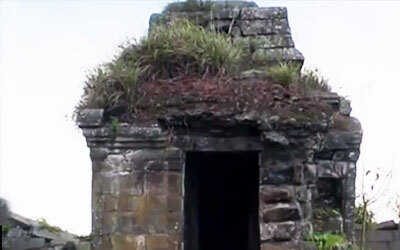 The location of the temple on the top of the hill itself proves the effort taken to complete the structure there. Apart from Mangala Devi you can also sight some other idols there. Entering the complex you can see the idol of Karuppuswamy, on the left side there is Lord Shiva and you can also sight a sanctorum for Ganapathy too. You can also find an underground passage from this temple. Numerous stories revolve around this passage. According to the local people, the passage leads to the Madurai town and some says that the passage will take you to the Pandya Kingdom. Like the other temples in Kerala, Mangaladevi temple is not opened all the year round. The devotees can only worship the Devi during the time of Chitrapournami festival which falls on the month of April/May. 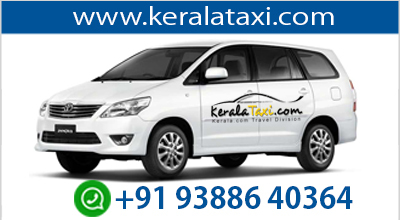 This festival which occurs on a full moon day is jointly organized by the Kerala and Tamil Nadu governments. The priest from both the states comes to perform rituals during the festival. As the temple is in the edge of ruins, the panchaloham idol used for the festival is bought from Kambam. Goddess Mangala is decorated with flowers, silks and poojas are performed. Thali (sacred thread used by married women) and bangles of women is kept for pooja here. This festival is very auspicious for women and the women folk offer pongala (cooked rice) to the Devi. Adequate measures are taken to avoid the disturbance to the eco system with the over crowding of the devotees. To make a trip to Mangaladevi temple, you will have to get prior permission from the wildlife warden of Thekkady. The journey to the temple is an interesting and daring experience. You can reach the temple only with the help of a jeep. The 12 km long way to the temple is covered with dense forests and grasslands. You will also get a chance to experience the delightful sights of Nilgiri Tahr and other varieties of flora and fauna.